Georgian vernacular furniture and modernist architecture. 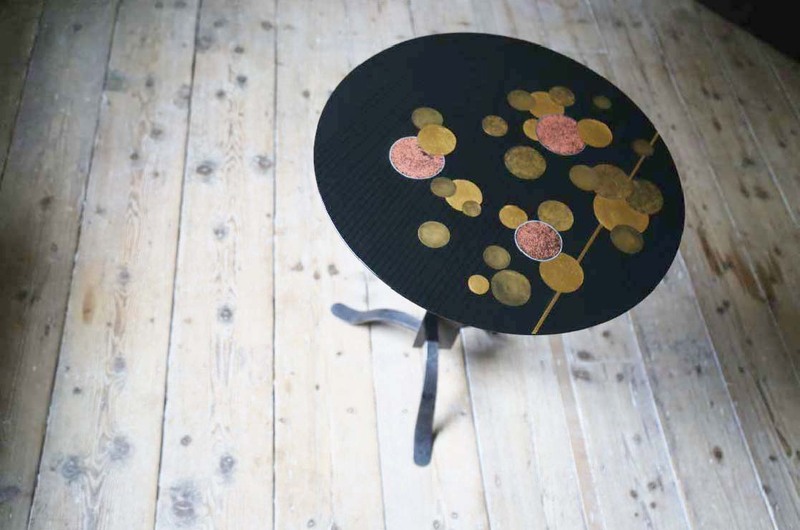 The circular motifs are inspired by traditional Japanese ceramics but displaying British lacquer techniques. 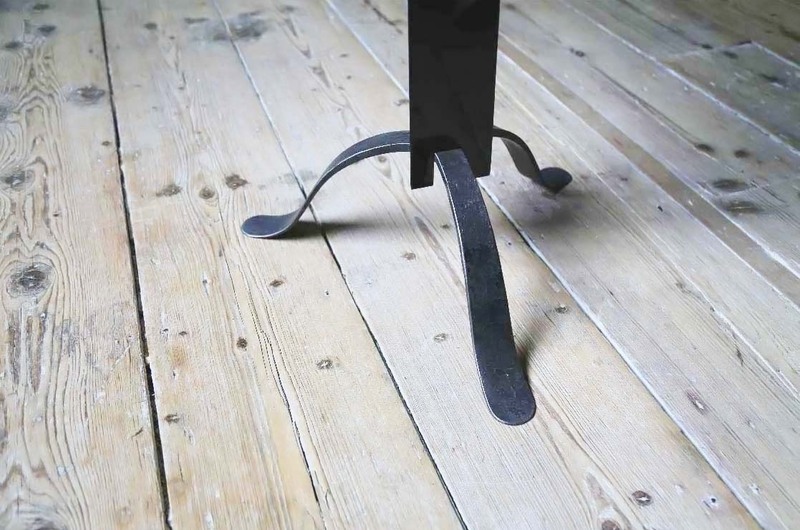 The metal feet were inspired by an antique wrought iron rushlight and candle stand. Solid cherry upright post. Cherry veneered MDF Top. Wrought iron base and attachment to top. 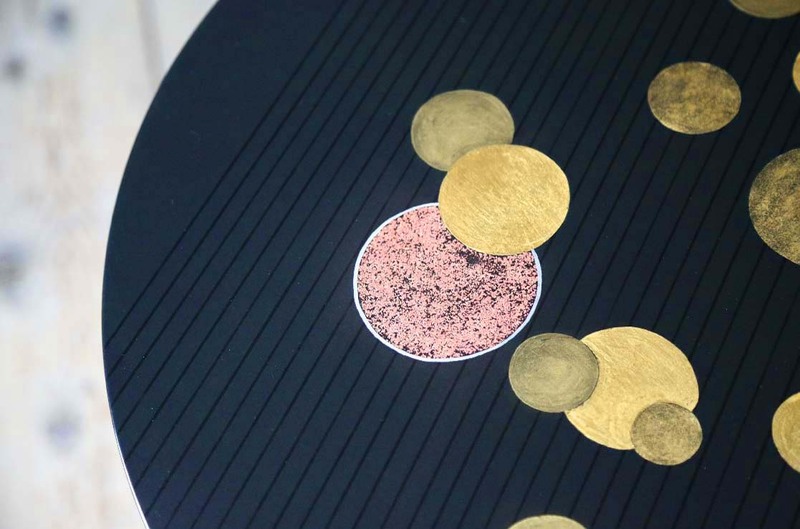 Lacquer, historical pigments, various precious metal decorations. Indian ink. 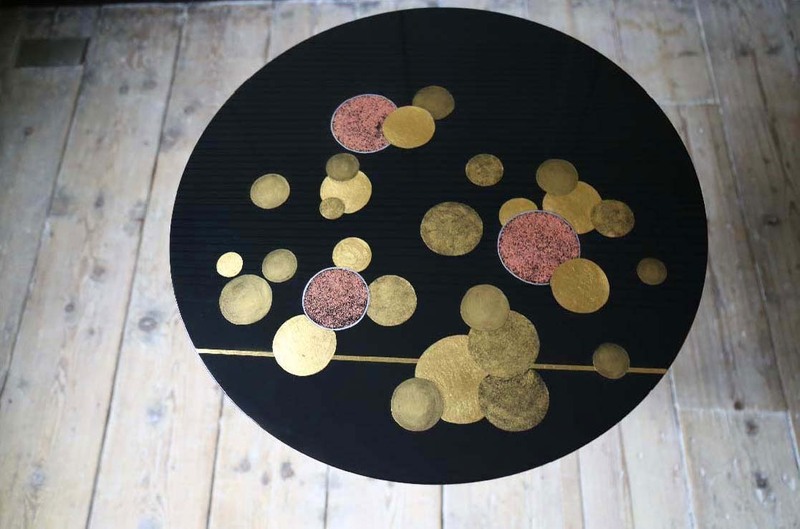 Lacquered & Gilded with various precious metals.